Compare that to a typical Ironman race, which consists of a 2.4-mile swim, a 112-mile bike ride and a 26.2-mile run with no break. Decaman USA also has a 1×10 category requiring competitors to finish one Ironman race a day for 10 days in a row. Ulbrich — who had to submit a race resume, doctor’s note and medical records to qualify for Decaman USA — is no stranger to tough competition. Last month, she was the top-female and second-overall finisher in the Wildcat 100 — a 100-mile ultramarathon in Pensacola, Fla., finishing in 28 hours, 11 minutes. In August, she placed first among women and third overall in the 8 Hours of Hell Racing Series in Southwest Florida. “It was great practice [for Decaman]. 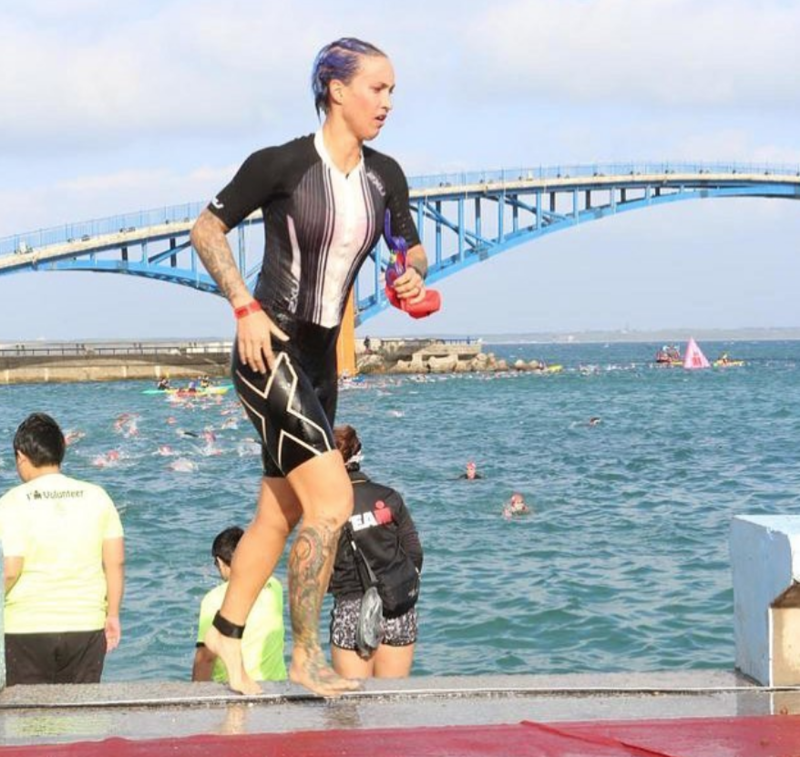 I am entering another Ironman race in Taiwan this weekend,” she said prior to an event in which she finished second place in her age group in 10 hours, 25 minutes. Ulbrich said she typically rises daily at 5 a.m. to load up on carbs and run, bike and swim between four and six hours. Later, she runs an additional two to three hours or lifts weights. Her husband, Capt. 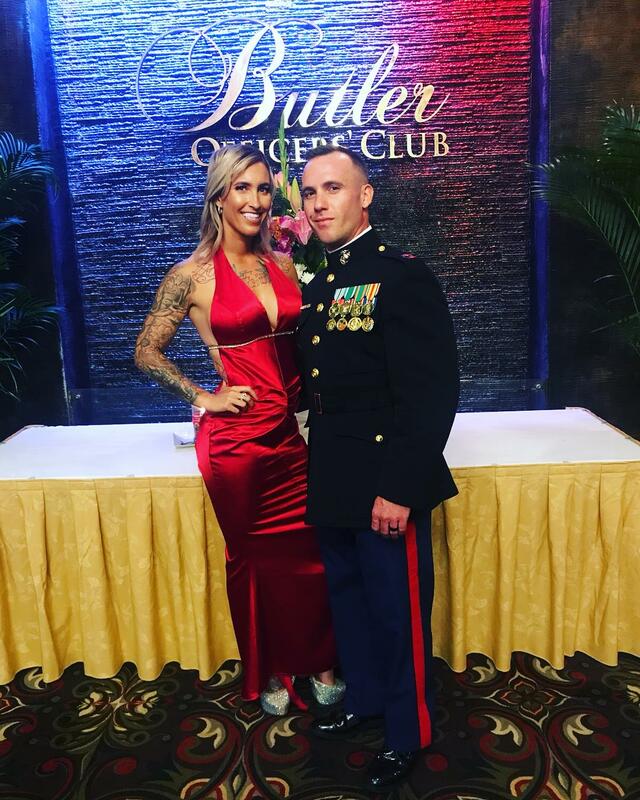 Kristopher Ulbrich, 30, of Combat Logistics Battalion, 3rd Marine Logistics Group, supports the upcoming challenge. Ulbrich is also being encouraged by fellow military spouses Jessica Merritt, Tamara Webb and Meghan Gebke, who often join her for training. During Decaman, it’ll be up to each competitor to decide when to take breaks, eat or sleep. Along with a 30-minute midday nap, Ulbrich said she plans to sleep three to four hours each day of the competition. She also has a secret power food: Onigiri, or Japanese rice balls. While Ulbrich is aiming to beat the Decaman’s top U.S. finish time of 13 days, she hasn’t ruled out taking a shot at the 10-day world record.